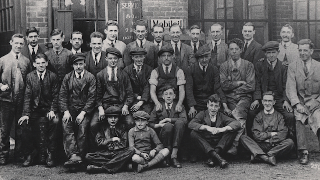 The story of Pye Motors starts in 1925 in Lancaster when William Pye, having trained as an engineer in the Barrow Shipyards decided to set up on his own – using his engineering knowledge to start a motor repair business. Joined by his younger brother, George, William established the very first Pye Motors workshop on Fleet Square in Lancaster. 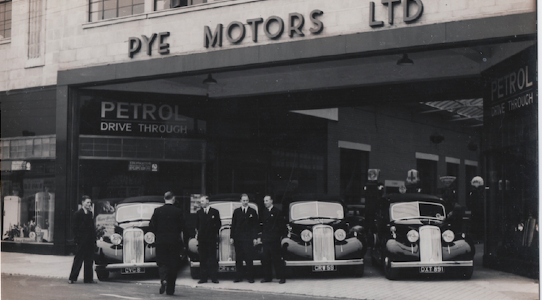 It was the dawn of the automobile industry and an exciting time for the Pye brothers. By 1937, the company had taken on Hillman, Humber and Buick franchises, and with 40 employees moved to a larger premises on Parliament Street. With the outbreak of war in 1939, William diversified to ensure the business and his valued staff were protected during difficult times. He took on war work, changing the workshop to an engine shop, building and supplying engines for de Havilland Mosquito aircrafts and the land barge engines which were used during the D Day landings. Skilled labour was in high demand during WW2 and the business increased its workforce to 250 local employees. William was awarded an MBE for his contribution to the war effort, which he accepted on behalf of Pye Motors and his dedicated employees. The Mayor of Perpignan receiving a letter of greetings brought from the Mayor of Lancaster. 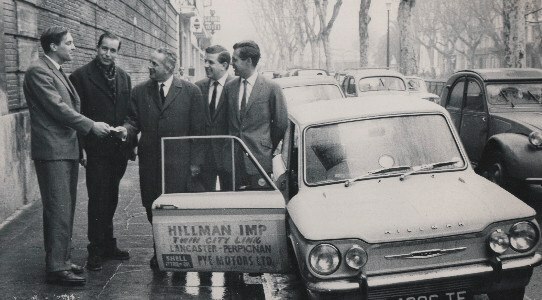 1960s with a Pye Motors Hillman Imp. In 1938 Pye Motors was honoured to service and house the Duke of Gloucester's fleet whilst on a visit. In 1970, William decided the business needed a solid, long-term plan that would provide security for his loyal employees. After much deliberation he decided to leave Rootes Group and become a Ford Main Dealer and specialist centre for Iveco-Ford Trucks. With a combination of great customer service and a huge choice of new and used cars, Pye Motors took on further expansion and in 1996 opened a branch in Barrow-in-Furness. 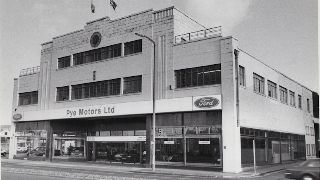 The following year they took over the Ford franchise in Kendal, making them one of the largest dealers in the Bay area, combining one of the largest geographical Ford areas in the UK. Today, Pye is still a family run business, with over 140 local employees across three branches, and a level of customer care normally associated with smaller businesses. "While cars might be our business, customers are still at the heart of everything we do." Our first full team of engineers. 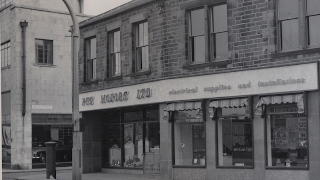 Our motor and electrical shop on Parliament Street, Lancaster. Pye Motors Showroom 1994 prior to moving to Ovangle Road, Morecambe in the same year.